Today's episode of World Cafe is a celebration of Robert Plant. He's been a major figure in rock for more than 40 years, from leading Led Zeppelin to maintaining both a successful solo career and many award-winning collaborations. Most importantly, his deep understanding of blues-rock and willingness to push his own boundaries has left a lasting impression on artists all over the world. Plant has been on World Cafe several times. In a 2007 interview (one of our best), he talks about discovering the music of Alison Krauss, an accomplished vocalist and fiddler who's been instrumental in bringing folk and bluegrass to a wider audience. Their Grammy-winning collaboration, Raising Sand, was recorded in Nashville and Los Angeles with legendary producer T-Bone Burnett, and finds the duo interpreting blues, R&B, folk and country by classic songwriters. With his backing band Strange Sensation, Plant came by in 2005 after the release of The Mighty Rearranger, a blend of world and Western music that features World Cafe favorite "Shine It All Around." His co-writer Justin Adams joined Plant, and the two discuss their inspiring trip to Mali and the Festival of the Desert. 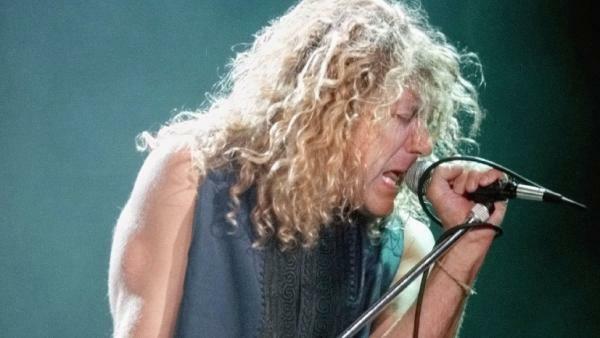 Finally, we'll revisit a 2002 interview, in which Plant tells one of his funniest stories — it involves pledging to a Portland public radio station so it would never again play "Stairway to Heaven." Copyright 2012 WXPN-FM. To see more, visit http://www.xpn.org/.